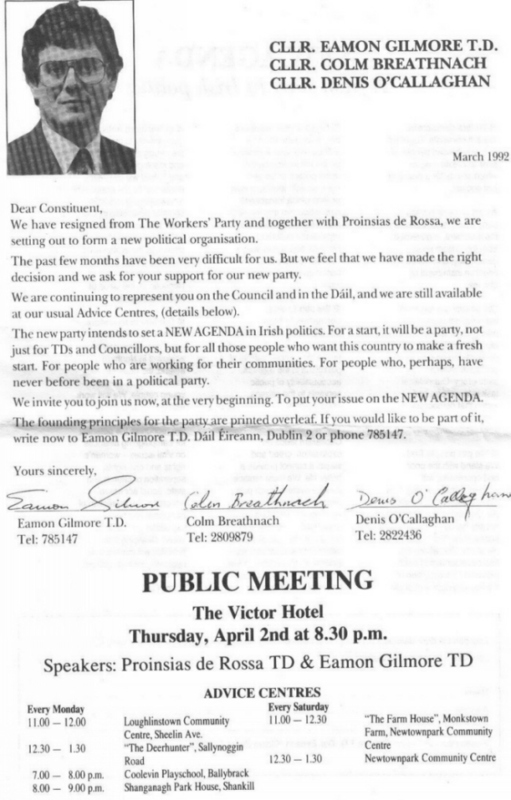 This is a letter Sent by Eamon Gilmore, Colm Breathnach and Denis O’Callaghan post 1992 Workers Party Split. 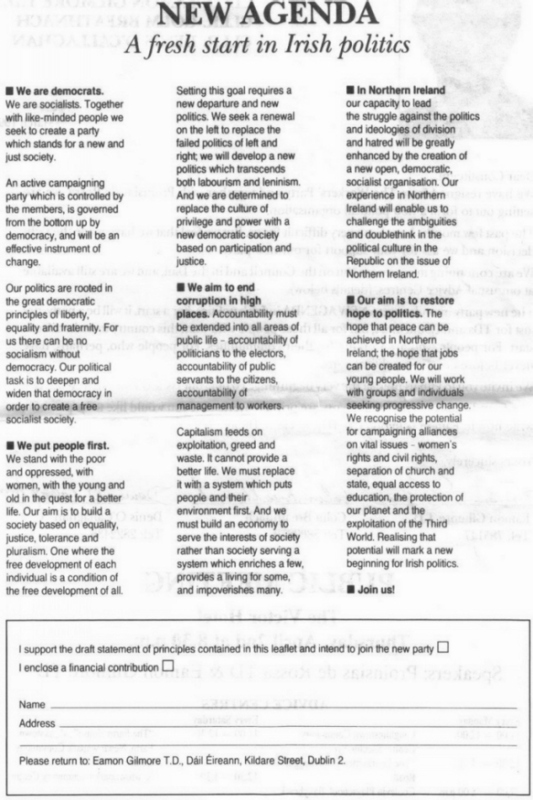 It outlines the policies and aims of the group. Polices look like those of The Workers Party but without the Democratic Centralism. The breakway group were initailly called ‘New Agenda’ and contested the 1992 Westminister Elections under that name. However the name didn’t last long and the party called then itself ‘The Democratic Left’, which itself joined the Labour Party in 1998.